Carrot F1 Eskimo is just as hardy as its name suggests and is perfect for those carrot-lovers who know that the tastiest carrots are harvested in the autumn and early winter. It is one of the most cold tolerant varieties available and has the bonus of a high tolerance of cavity spot. This late maincrop, Nantes-type with rich orange, cylindrical roots has good colour, a super-sweet taste and excellent flavour. It produces vigorous erect foliage and strong tops which make harvesting easier especially for late lifting. Carrot Eskimo has very good resistance to frost damage and will cope with winter weather down to minus 10°C (-23°F) when grown on lighter soils. It also reduces the need to cover the crop in the late autumn period. It can be lifted late in the season and stored, or overwintered on well drained soils. Hailed as the first 'green carrot', growers do not need to protect the Eskimo with costly straw and polythene due to its cold tolerance. This also reduces cost and for organic producers, the carbon input of laying on the straw and polythene, taking it off and of course the carbon involved in producing the polythene in the first place. 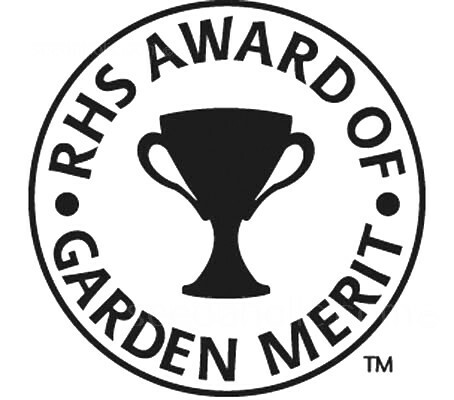 In 2005 Carrot F1 Eskimo was awarded the Royal Horticultural Society's Award of Garden Merit (AGM). A key indicator that this variety is worth growing in your garden. Carrot F1 Eskimo has been trialed and tested and is recommended by the National Institute of Agricultural Botany. Winner of the NIAB Variety Cup. In 2011 the National Institute of Agricultural Botany awarded The Variety Cup to the carrot variety Eskimo, bred by Vilmorin, in recognition of its unique frost tolerance and resulting commercial impact. This prestigious award acknowledges varieties that have made a major contribution to crop productivity through improved quality, disease resistance, grower return or commercial success, and can be drawn from the entire spectrum of horticultural, ornamental and agricultural crops. Eskimo F1, has been developed to have a very high degree of tolerance to cold and is resistant to frost which means the variety can be grown for an extended period into the winter without the usual need to protect the crop. Straw and polythene are the norm for field storage so by eliminating their use, all the carbon emissions associated with this practice are effectively removed, making the carrot ‘greener’ to grow. Its unique feature of frost tolerance has been the main driving force behind the varieties success and this has developed a blue print for growers to achieve excellent quality, yield and pack out results from open field situations late into the winter. The main advantage is that growers do not need to protect the Eskimo with costly straw and polythene due to its cold tolerance. This also reduces cost and for organic producers, the carbon input of laying on the straw and polythene, taking it off and of course the carbon involved in producing the polythene in the first place. Commercially, it is believed that the level of reduction in carbon emissions associated with open field Eskimo could be significant. By extending the open field season using Eskimo F1, a large proportion of the extra carbon produced by straw and polythene can be avoided, reducing the overall carbon usage by 56%. 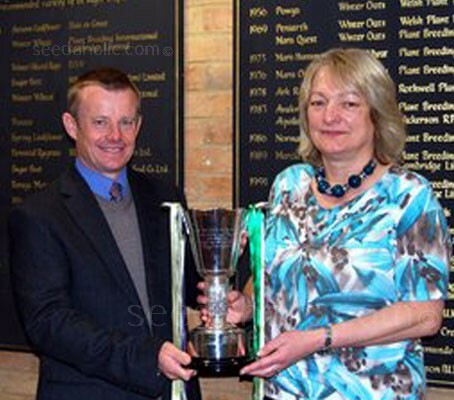 The NIAB Variety Cup is awarded to the breeder of a variety that, in the view of NIAB, demonstrates potential merit for making a major contribution to sustained crop productivity through improved quality, disease resistance and grower return or has achieved a high level of sustained quality performance. NIAB technical staff nominates candidates from all of the crops assessed at NIAB on an annual basis. A panel then comes to a judgement as to the variety which has made the most significant contribution to production or presents an opportunity for increased productivity or lower impact. Both established and new varieties are considered and recent winners represent a wide range of crops and characteristics. NIAB’s Vegetable Specialist, Bruce Napier explained that when Eskimo was commercially launched in 2003 it represented a step forward in carrot breeding with its frost tolerance, which has since contributed to improved quality, yield and pack-out results from open-field situations late into the winter. Commenting on the award John De Soyza said: “We’re very honoured in receiving the NIAB Variety Cup award for Eskimo. A lot of blood, sweat, and tears have gone into the commercial development of the variety over the years and we’re delighted that its benefits to the industry have been shown to be real and consistent. Success with root vegetables is very much down to the quality of the soil, so it’s worth taking the time to prepare your patch. Start digging over your soil in late winter or early spring, removing any stones you find and turn the soil until it has a fine, crumbly texture. 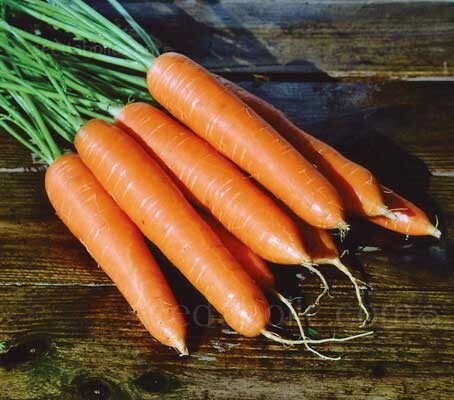 Carrot seed should be sown into deep, fine, rather sandy, fertile soil with a pH of 6.5 – 7.5. The soil should not have been manured in the past year; ideally it will have been manured for a previous crop. If the ground has been manured in the past year do not grow carrots in that spot. If your soil is not ideally suitable, you can prepare a large container instead. Carrots sown early in February in a cold frame/cloche will be ready to harvest by June. Put the cloche in place a month before sowing as this helps to warm up the soil. Sowing seeds into modules is another way to obtain early cropping. Sowing in early spring to early summer will hopefully avoid the most harmful hatchings of the carrot fly. Sow the carrot seed thinly into drills 2cm ( ¾in) deep. The rows should be spaced at 12 to 15cm (5 to 6in) apart for optimum performance. Carrot seeds are small, but it’s wise to plant them as thinly as possible. This reduces the amount of thinning necessary and potential risk from pests. Mix the seeds with a handful of sharp sand and sow them together. Sand will also aid drainage. Once the seedlings are showing their first rough leaves, thin out to 7 to 10cm (3 to 4in) apart which minimises competition and enables the carrots to grow quickly to harvest size. It is best to thin seedlings in the evening when carrot fly are not around, as it’s the odour of bruised leaves which attracts them. Use a lightweight fleece over the bed to increase the temperature of the soil while also preventing the carrot flies from laying their eggs. Keep the ground around the carrots weed-free by hand. As foliage develops the leaf canopy will suppress the annual weeds. The plants need little other attention during their growth period, although the plants should be kept well watered – too little water results in coarse, woody roots. Harvesting: 12 to 20 weeks maturity. Early varieties of carrot will be ready to harvest approximately 12 weeks from sowing, and maincrop varieties after about 16 weeks. Start pulling up your carrots as soon as they are big enough to eat. It’s best to harvest them in the evening to avoid attracting carrot fly. The first roots are usually lifted when they are 12 to 15mm (½in)in diameter, remembering roots will continue to grow as the seasonal temperature rises. Use a fork to lift, being careful not to damage the carrots. Late-sown carrots must be lifted by October once the foliage begins to wilt and turn yellow, to be stored over the winter. For winter, carrots can either be lifted in October and stored, or left in the ground ensuring the crowns are covered with a secure layer of straw to protect them from the frosts. Store only the best, undamaged roots, cut off their foliage and lay the roots between layers of sand in a strong box, ensuring that the roots do not touch. Store somewhere cool and dry, check the carrots occasionally, removing any odd rotten roots before they infect their neighbours. Carrot tops can be used in a variety of dishes, including raw in drinks or in salads. Carrots are an excellent source of the deep yellow carotenoids that produce vitamin A. They are also a good source of magnesium, potassium, vitamins C and B complex, and a form of calcium that is easily absorbed by the body. An adult carrot fly or carrot root fly - 'Psila rosae' is a very small black fly which has been described as "a low flying miniature cruise missile". It is a serious and widespread pest and is really the only carrot pest worth worrying about. Press the orange information circle at the top of the page for more details about this pest and for practical tips on how to deter this pest. Carrots do well alongside most plants, especially Chives, Garlic, Rosemary and Sage (which also deter Carrot Fly). However Dill, Coriander and other members of the Umbelliferae family should not be planted near carrots as they tend to cross pollinate which can be important if you are to save your own seed. Forced Crop: Carrots sown in February in a cold frame/cloche are ready to harvest by June. When using cloches put them in place a month before sowing as this helps to warm up the soil. Sow forced crop seeds in 2cm deep drills (shallow furrows), 15cm apart, preferably a bed prepared the previous autumn. Protect by garden fleece in colder areas. Thin out plants to 10cm apart which minimises competition and enables the carrots to grow quickly to harvest size. Early Outdoors: Later in Spring (March/April) sow seeds directly outdoors. Where possible, cover with garden fleece to speed germination and protect against carrot fly. Harvest in July/September. Main Crop: These are sown in April/May and harvested in October/November. This time its drills 2cm deep but 30cm apart. Sow seed very thinly and cover with light soil. Thin seedlings out to 4cm apart. These carrots are particularly suitable for storage after harvest. Late Main Crop: These should be sown June/July and are ready for harvesting from December onwards. Late varieties are good for storing and produce large roots. Thin seedlings out to 4 to 5cm apart and avoid bruising the leaves when thinning as the smell can attract carrot fly. .